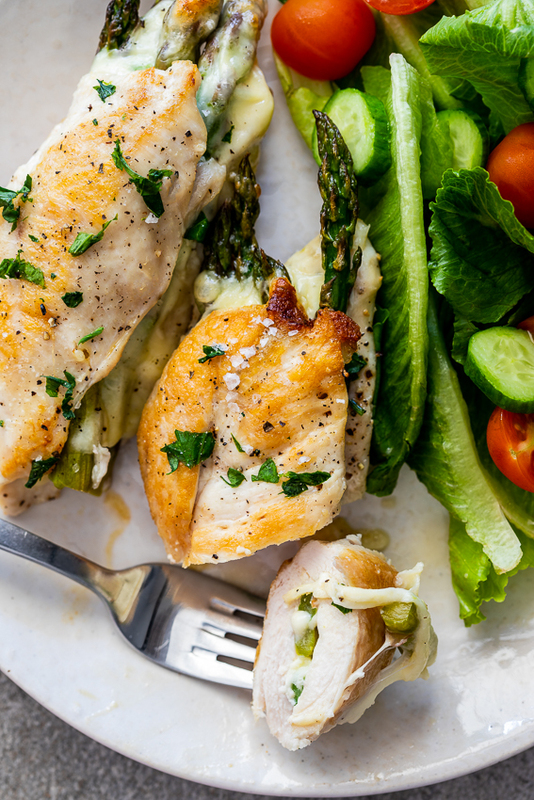 Juicy asparagus stuffed chicken with mozzarella is an easy spring dinner recipe. 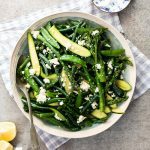 Serve with a side salad and crispy potatoes for the best family meal. 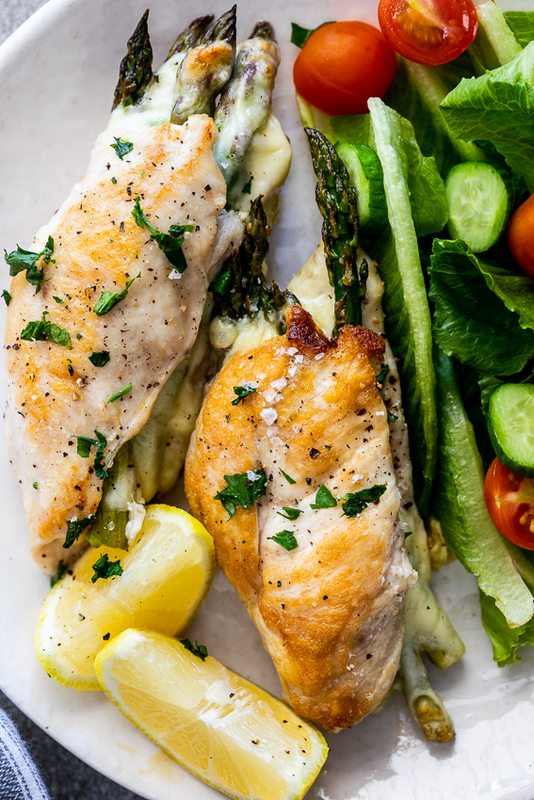 How do you make asparagus stuffed chicken? 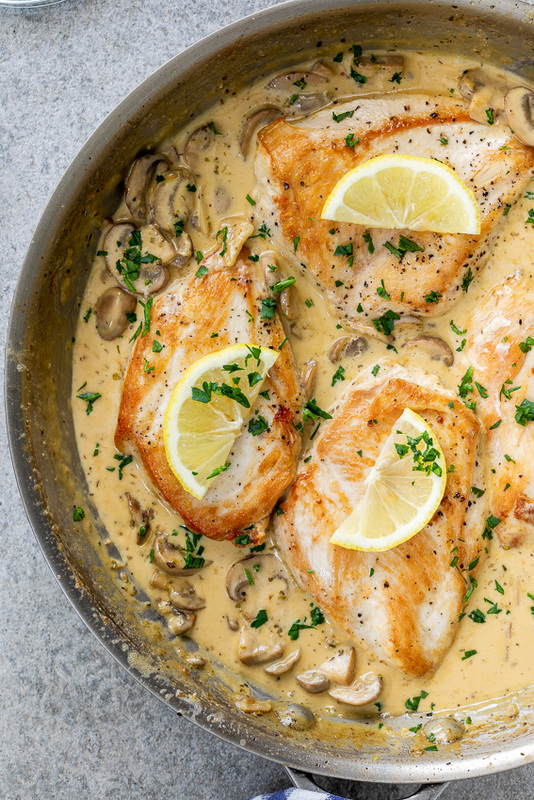 Butterfly skinless, de-boned chicken breasts (make a long, cut on the side of the chicken breast, taking care not to cut all the way through) and season on both sides. 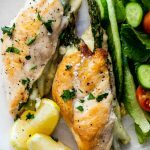 Place a few steamed asparagus spears on the inside of each chicken breasts with a tablespoon or two of grated mozzarella cheese. Close the chicken and secure with skewers. 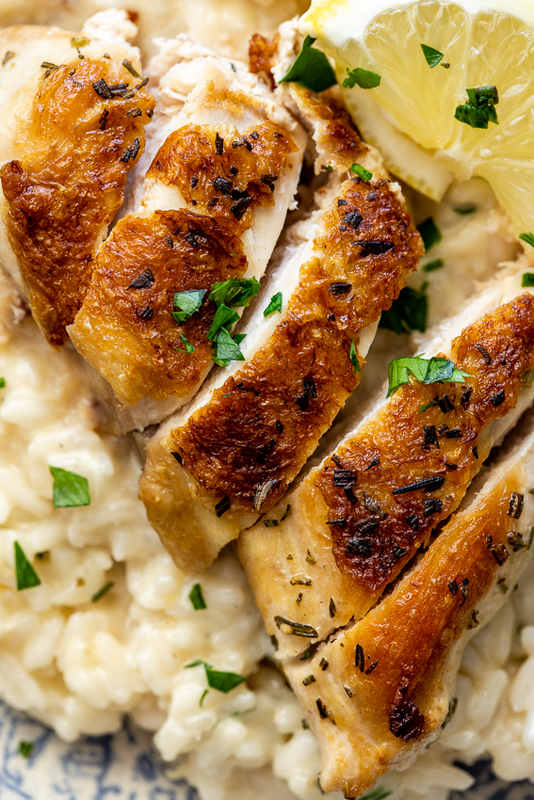 Pan-fry the chicken until golden brown on both sides and then place in the oven to cook through. Allow the chicken to rest for 5 minutes before serving. How do you know when stuffed chicken is done? The chicken is cooked when the meat is white throughout. The internal temperature should read 73ºC/165ºF. What do you eat with stuffed chicken? Pre-heat the oven to 220ºC/430ºF. Butterfly the chicken breasts and season on both sides with salt and pepper. Place 4 spears of steamed asparagus and a few spoonfuls of grated cheese into each chicken breast. Close and secure with skewers. 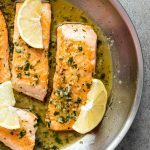 Heat a large, oven-proof frying pan and sear the chicken in a splash of oil until golden brown on both sides. Place the chicken in the oven and allow to bake for 10-15 minutes or until the chicken is cooked through. Remove from the oven and allow to rest for 5 minutes before serving.